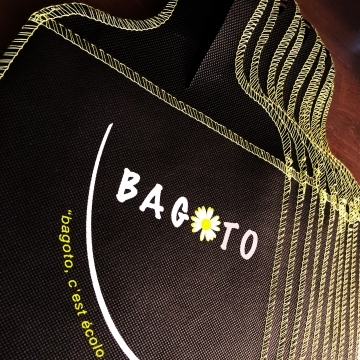 More practical than a car net, Bagoto is also an organizer pouch in a non woven fabric, designed to gather the daily objects you use during your road trips. 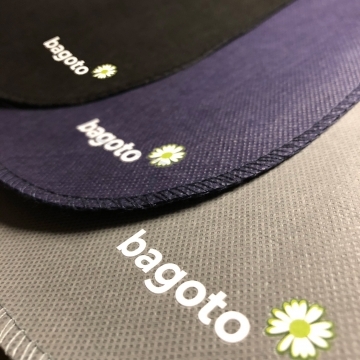 Pick your style amongst 3 models and various colors to differentiate the usage, such as car trash bag or organizer pocket. 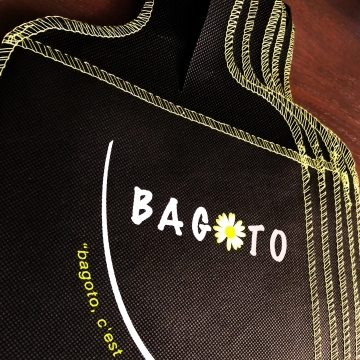 Car trash pocket, non woven fabric organizer pouch or communication support for advertisers, Bagoto is at the disposal of all drivers. 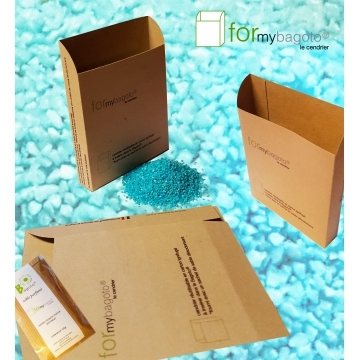 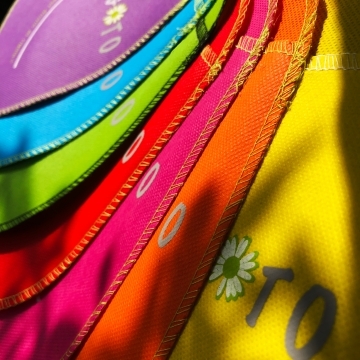 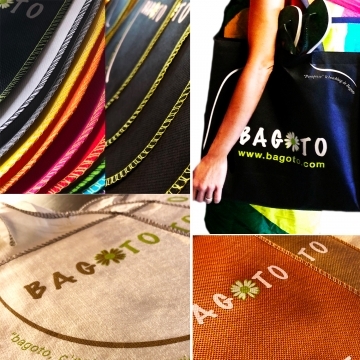 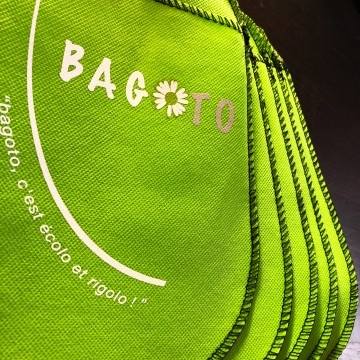 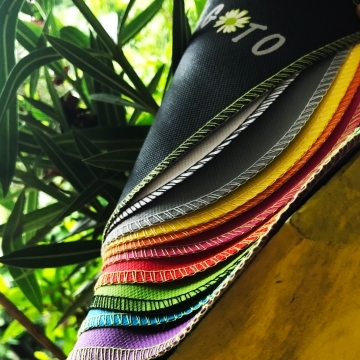 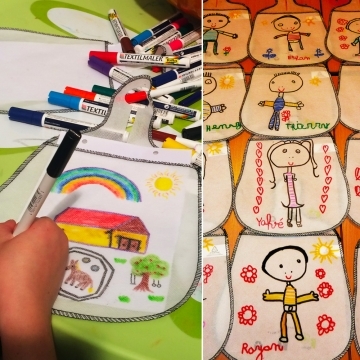 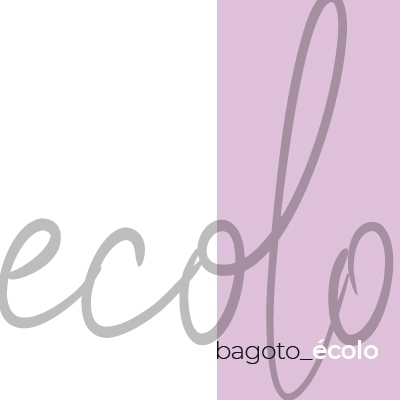 Bagoto is the designer waste bag for cars, reusable and washable. 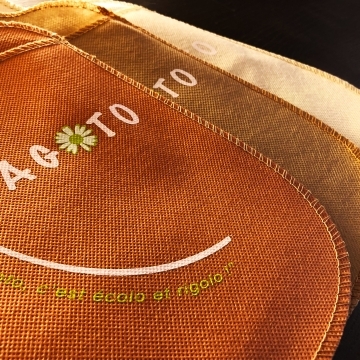 It is 22cm wide and 33cm high (9 X 13 in), ergonomic and practical. 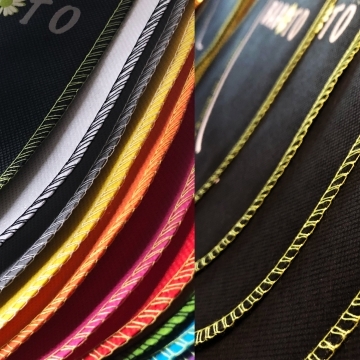 Its shape, slightly similar to a ping-pong (table tennis) racket, with a looped handle that fits most vehicles, on the stick shift lever, whether manual or automatic, or behind the front seat’s head rests. 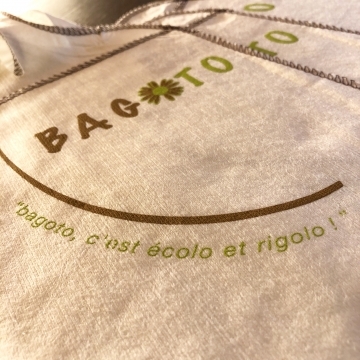 — an ecological version, 100% natural bamboo fiber, extra soft, cream color, biodegradable and compostable.